[stamp] 51; fishermen at Sucker Creek Geo. Rogers Park 1927; C. E. Chaney 449 6th St. 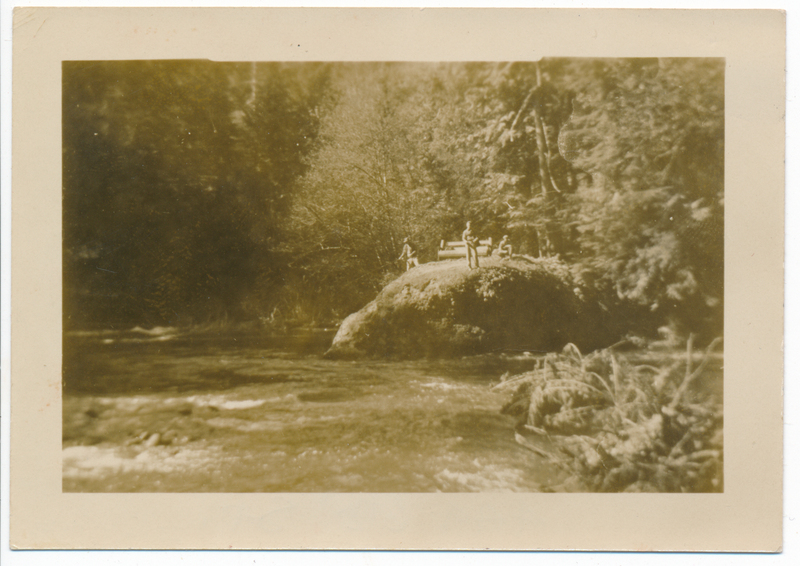 Description Men fishing off of a rock outcropping at Sucker Creek. From C. E. Chaney of 449 Sixth Street? Photo is from Smoke Family collection and were donated to OHC by Claire Calcagno. Transcription [stamp] 51; fishermen at Sucker Creek Geo. Rogers Park 1927; C. E. Chaney 449 6th St.